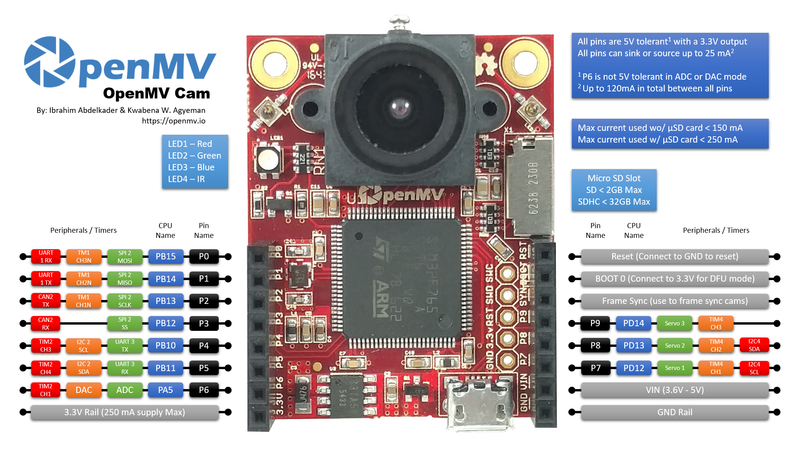 The OpenMV M7 Camera is a small, low-power microcontroller board that allows you to easily implement applications using machine vision in the real world. The best part about the OpenMV is that it is not only capable of image capture, but also face detection, color tracking, QR code reading and plenty more. This version of the OpenMV M7 Camera has a few new changes for you! 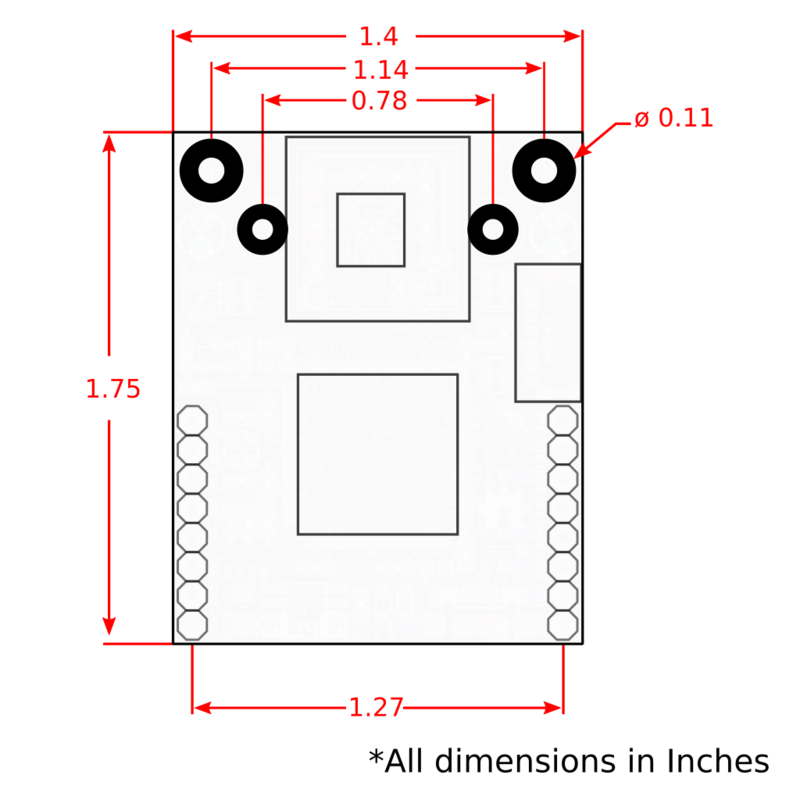 Each version of the OpenMV now comes equipped with a handy protective acrylic case and has also removed the pre-soldered headers from the board. Instead, you now have the option between normal male headers or female stackable headers, allowing you to decide how you use your own OpenMV. The STM32F765VI ARM Cortex M7 processor running at 216MHz with 512KB of RAM and 2MB of flash. All I/O pins output 3.3V and are 5V tolerant.